You’d probably want to know about the specs right off the bat, so it looks like we got 1,024 CUDA cores as speculated, 94 ROPs, and 3GB of GDDR5 RAM for this card. 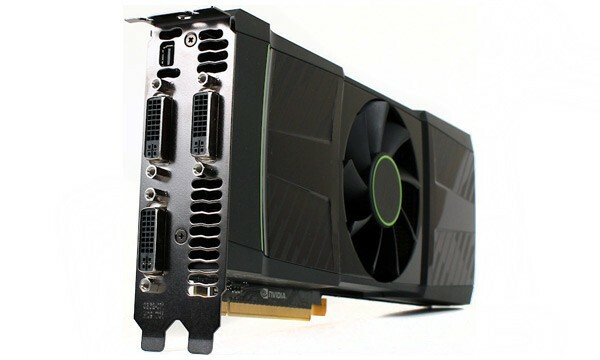 If you’re wondering, the GTX 590 is actually two GTX 580 chips combined but with power constraints – speeds were adjusted for the components on-board to compensate. The core is at a lower 607MHz, while it’s 1.2GHz for the shaders, and the memory is clocked at 3.4GHz. Not surprisingly, with all the performance that’s jam packed into this card, it costs the same as AMD’s single-card flagship at $699. Hate to spoil it for all you NVIDIA fans out there, but the arrival of this much anticipated card doesn’t exactly blow the HD 6990 out of the water. It actually falls slightly behind the current single-card performance leader in some of benchmarks, however props to the experts behind an astonishingly quiet cooler especially for a card that performs at this level. We got the usual links for you to go through and bonus videos below for the weekend!